We compared the anterior approaches of internal jugular venous cannulation in 200 surgical patients, vis-Ã -vis the ease of cannulation and threading, number of attempts required and the incidence of complications following each route. 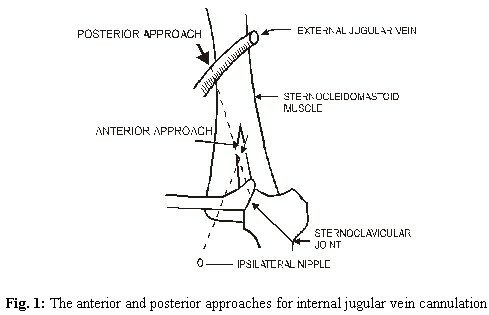 The technique of posterior approach used in this study was found to have a higher rate of success in cannulation and lower rate of complication such as carotid puncture. The posterior approach was also a safe alternate route in obese or short necked patients. Of 93 blood cultures received with a suspicion of anaerobic bacteraemia over a period of two years, only 17 (18.3%) showed anaerobic growth. Twelve grew anaerobes alone while five had a polymicrobial flora. Seven of these patients (4.3%) had pre-existing heart disease while others had history of prior surgery, diabetes mellitus or urinary tract infection. Oropharynx was the commonest portal of entry, followed by gastrointestinal tract. The anaerobes isolated were anaerobic streptococci, Bacteroides fragilis group and Bilophila and Eubacterium species. Fifteen patients developed major complications such as congestive cardiac failure, systemic embolisation, and perforative peritonitis. The mortality rate among the cases with anaerobic bacteraemia was 23.5% in this study. Ventilatory functions were studied in 36 male and 35 female subjects (mean age 18.5 years), who underwent six weeks course in forced breathing. Ventilatory functions were studied in the form of Forced Vital Capacity (FVC), Forced Expiratory Volume at the end of one second as % of FVC (FEV1%), Maximum Voluntary Ventilation (MVV), Peak expiratory flow rate (PEFR) and Breath Holding Time. Some of these ventilatory functions were found to be increased after a course of forced breathing. 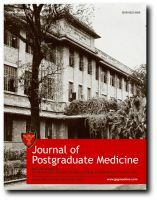 A 10-year-old male patient posted for left elbow arthrolysis developed pneumothorax during general anaesthesia. He had history of upper respiratory tract infection and high eosinophil count, which remained high in spite of treatment. In such patients, it is advisable to use steroid pre-operatively & intraoperatively to produce transient eosinopenia so that complications of eosinophilia are avoided. 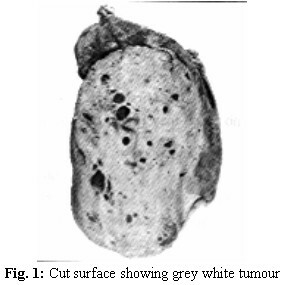 An unusual case of a melanotic neuroectodermal tumour of the occipital squama, which underwent malignant transformation in a nine-month-old infant is reported and pertinent literature reviewed. 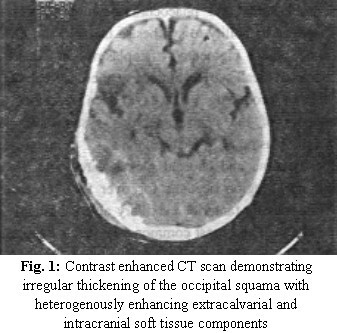 A patient with pre-existing bilateral tonic pupils presented with simultaneous bilateral glaucomatocyclitic crisis. Deep tendon reflexes were absent although they were documented to be present 6 years ago. A possibility of a progressive autonomic dysfunction in both these conditions is discussed. Haemangiopericytoma is a rare neoplasm of the kidney. There are no unique radiological or clinical identifiers that can aid in preoperative diagnosis. Surgery is the only reliable therapy, as both chemotherapy and radiotherapy have proven ineffective in several series. The outcome is difficult to predict, the only reliable predictor is presence or absence of metastasis. The rarity of this lesion prompts the report of these two cases.